The phrase “negative directions” may seem a bit – well, negative. In fact they represent one of the most positive developments in Alexander Technique teaching in recent years. First explicitly described by Alexander Technique teacher Missy Vineyard in her 1997 book How You Stand, How You Move, How You Live: Learning the Alexander Technique to Explore Your Mind-Body Connection and Achieve Self-Mastery, they have a number of advantages over their traditional counterparts and are becoming increasingly popular with Alexander Technique teachers and students. They also turn out to have an extremely useful role in using your center of gravity, once you advance past some of the more basic processes (locating and directing your center of gravity, and lifting your center of gravity) and several Up With GravitySM lessons will be devoted to using negative directions to make these center of gravity processes more effective. Grammatically, they are negative statements, but they are a positive affirmations that you want to stop doing things to yourself that are harming you. For a number of reasons, negative directions turn out to have several important advantages over their more traditional counterparts. They are very easy and enjoyable for most students to use, and students are much more likely to experiment with creative versions of their own. Also, there is little or no downside to properly formatted negative directions; the worst that can happen is that you say “no” to something you aren’t doing, in which case nothing happens. The first version assumes we know how to free our neck – an assumption that is, in my experience with new students, almost universally false. I think largely for this reason, it is less used today than the second version. The second version is very common, and Alexander Technique teachers will often emphasize the “let” part of the statement – the idea that we don’t have to make something happen, we simply need to allow it. The problem here is that most new students don’t know how to “let” their necks be free. In other words, this version is also making an unrealistic assumption. However, it is a big improvement over the first version. The third version – a negative direction – makes no unrealistic assumptions at all. 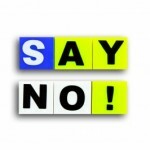 I’ve never met a student who wasn’t able to tense their neck, nor a student who didn’t know what “no” means. Try all three for yourself, and see what you notice. I’ve found that walking is an especially good activity with which to explore alternative directions of any kind, including negative directions.